Our Deluxe Wine Cork Remover is the perfect gift for the wine lovers of the world! This wine cork remover is a simple, easy, fast, and efficient way to open up a bottle of wine without the hassle of pulling and twisting. Ideal for bar, caffe, restaurant, home and etc. Made of aluminum alloy material, low density, good thermal conductivity, not easy to corrosion. Easy operation: Uses air and a strong needle for fast cork removal. Simply slid the needle in, pump a few times and the cork is out, ensures the safety of the bottleneck. 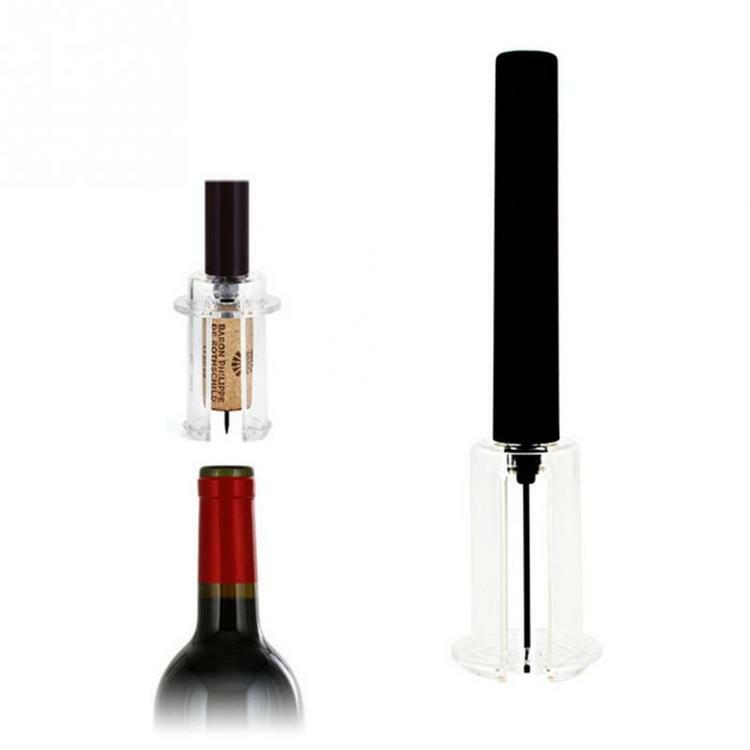 The air pump wine opener is a simple, easy, fast, and efficient way to open up a bottle of wine without the hassle of pulling and twisting. Hold the bottle with one hand, another hold the opener handle but spudding it up and down. Ideal for bar, caffe, restaurant, home and etc. 1. Insert the pin into the middle of the cork,while the plastic cover is around the spout. 3. Use the slider on the plastic cover to take the cork from the pin. 2.The gas injection times should not exceed 15 times for each bottle.